An HD remake of a PS2 game (Brave: The Search for the Spirit Dancer) before people really took care over them, this keeps the graphics and ups the resolution but messes up the frame rate. This technical inadequacy coupled with poor camera programming and a few bugs (one requiring your save to be restarted) can give one a poor impression and certainly contributed to the fairly hateful contemporary review scores. Shame, as the core game design is fine; a Native American God of War without the gore. It’s mostly fun enough, it’s always giving you something to do with a little tweak on what you’ve already learned, the story is good enough, the lead character Brave is enthusiastic, the art direction is good and it remains one of the only games to even attempt to use the striking potential of Native American mythology. It also has the joint most valuable achievement on 360 with 500G for completing the game. Reprising his role as gaming’s greatest hero once more, Matt Hazard is confused and dismayed to find himself getting killed at the end of the first chapter in a surprise twist. A hacker helps him survive but the game designers keep throwing in enemies from Hazard’s past to get rid of him once and for all. This is a fine idea which certainly raises a smile and has potential for some delightful gameplay anachronism but look at the cover. Why would anyone buy a game with such a ugly cover? Look at Hazard’s ill-proportioned head. That’s not the face of a hero, of someone a player wants to inhabit. Look at the guns. The assault rifle has been made as big as the mini-gun which is the reason the picture is subconsciously wrong. Ironically, a photoshop done to balance the picture ends up unbalancing the viewer’s mind and puts off potential buyers without them knowing why. Once in game, there’s good music and voice work but it’s consistently a little clunky control-wise (aim and shoot are on the wrong buttons for PS3) and the level / gameplay designers simply have no idea of how to make battles fun, flowing and exciting. And the potential for delightful gameplay anachronism? Disappointingly, the anachronism isn’t even there, delightful or otherwise. Classified 16+ by PEGI. The game is only suitable for persons who have reached the age of 16 or over.. Classified Violence by PEGI. Game contains depictions of violence. This blog is a participant in the Amazon EU Associates Programme, an affiliate advertising programme designed to provide a means for sites to earn advertising fees by advertising and linking to Amazon.co.uk. The Warden comes to the assistance of Jerrik Dace and helps him search for his brother, presumed lost, after an expedition in to the Deep Roads to recover the secrets of golem construction. Despite an impressively gross boss, I didn’t think this was much fun. I suspect this is because it doesn’t feature any of your companions from the main game. It also irritates me when principal characters don’t have to accept when a relative is dead and insist they can keep living if the heroes refuse to believe it; as if it’s largely a being’s will that keeps them alive. It demeans and undermines the entire concept of death. This Dragon Age: Origins game contains mild swear words and strong, gory violence with an hilarious option to leave you peppered with gravity resistant blood splatters that are way too big. Your sniper could make the difference between defeat and victory in a number of World War II scenarios. Hold your breath, take aim, fire… and pray nobody sees you. Rico is called upon to stabilise an unstable republic by destabilising it via the usual internationally recognised method of shooting hundreds of people in the face. And blowing stuff up. Featuring truly impressive game tech and a beautiful environment that feels like a very large golf course, Just Cause falls down because it’s gameplay just isn’t much fun. The highly saturated graphics aren’t matched by highly saturated gameplay with Rico being boringly bullet-proof, and featuring insta-death vehicles, spam rockets and spam helicopters which make almost the entire game a slog. There is one good mission in the entire game (where you had to kill crops) but it ends in a truly joyless multi-part final mission leaving you with a really bad impression. Just remember that it’s the world’s best Magnum, p.i. title sequence simulator and that everything else is just a bonus. 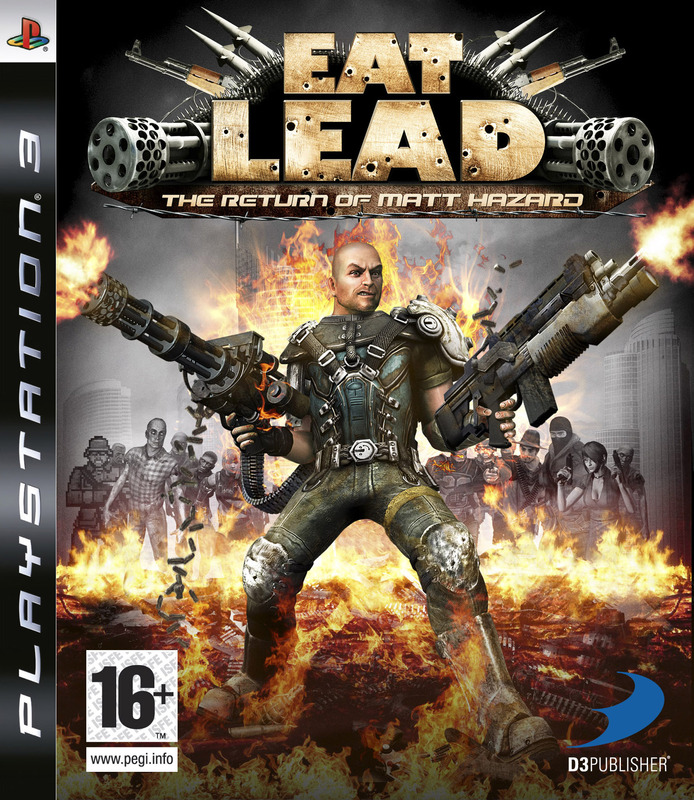 This game contains mild swear words, adult dialogue and extended extreme gun violence and sensuality. Indiana Jones and The Kingdom of the Crystal Skulls gets the LEGO make-over along with a quick return to the classic trilogy. Sadly, this is very much a case of fully diminished returns for this franchise as a number of good-on-paper ideas and clever bite-size puzzling and platforming all turn out to be deathly dull or irritating or both. As with LEGO Batman, the sound designer makes you hate the famous music but the graphics are better than ever, the LEGO character’s animated walk remains charmingly perfect and I love the way the characters leave square footprints in the snow. The new Level Creator is brilliantly done and, one hopes, there will more made of it in later games. This game contains extreme lego violence, graphic lego dismemberment. Classified 7+ by PEGI. The game is only suitable for persons who have reached the age of 7 or over. Nick Fury calls in Spider-Man to help sort out a load of phantom baddies that have started appearing and super-villains which are under some sort of mind control. Surprisingly, when Spider-Man releases them from their mind-control they want to join forces with the good guys to get payback. This is an attractive, straight-forward game with a nice light tone (the female computer is agreeably droll) and good controls. It’s okay fun but something makes the combat slightly more dull than it should be: interminable dust-ups with minions that keep trickling in. Because the game never throws overwhelming numbers of enemies at you or presents interesting environments, there is no drama or tactics to utilising your available techniques. Additionally, there is no strategic reason to ever use most of those techniques and gadgets (or even the ability to walk around) as standing in one place and pressing B then X or B will clear most rooms in short order. Boss battles are rather better with weaknesses and tactics to discern and exploit. For some inexplicable reason, Spider-Man also leaves dirty footprints in lots of places.